The amount of data to be stored is growing geometrically but the cost to store a GB on enterprise storage is relatively stable. Companies are facing spiraling costs, along with new threats with the proliferation of Ransomware and cybercrime. 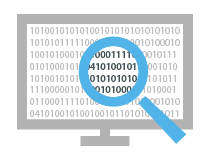 Customers need solutions aimed at protecting data on any device securely & cost efficient while also minimizing downtime for their mission critical systems. That’s what we do. The Infrascale Platform truly is a complete solution. Whether you are looking to implement simple backup and recovery or a comprehensive multi-site disaster recovery and business continuity plan, the Infrascale Backup Appliance technology can be an integral part of your solution. You can also put in place systems and procedures to ensure proper data retention for regulatory compliance. Protect all of your data, no matter where it roams. 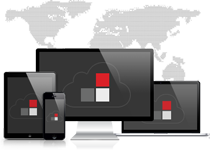 Infrascale Cloud Backup is an enterprise-grade direct-to-cloud backup solutions that protects servers, laptops, tablets, and smartphones. Infrascale Server Backup provides protection for data on any server, both physical and virtual. Backup SQL, Exchange, SharePoint, VMware, Linux, Unix, and Windows environments. 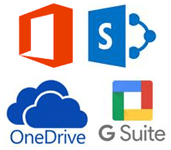 Cloud Backup for Applications like G-Suite, Office 365, SharePoint and Salesforce. Infrascale’s Virtual Backup Appliance is purpose-built to run in virtual environments, and its enterprise-grade capabilities unify backup and disaster recovery for all your virtual and physical servers and applications. Analysts have rated the Virtual Backup Appliance as “excellent”. DataCloudWorks.com is a division of Virtual Graffiti Inc, an authorized Infrascale Networks reseller.